We all knew it was going to be a massive weekend for Captain America: Civil War, but the Cap just opened bigger than Iron Man did in his third outing. Granted, Iron Man makes a pretty heavy contribution to Cap's third film so in terms of numbers are we talking about Captain America 3 or The Avengers 3 instead? The number of heroes involved in Civil War would certainly suggest the latter, but this is also very clearly a Captain America film. The point is: none of this matters because it is all Marvel and the Disney owned studio has completely monopolized the super hero blockbuster game. As its ever expanding cinematic universe grows the movies can only become bigger with characters inevitably crossing paths with one another more often than they once did. Black Panther's first solo film will look nothing like Captain America's first solo film and you know what? That's okay-in fact, it's pretty awesome. I've said over and over how happy I am to see what I always envisioned super hero movies being as a kid come to fruition as a reality in my early adulthood, but this kicking off of Phase III of the MCU feels like a culmination of those hopes and dreams. 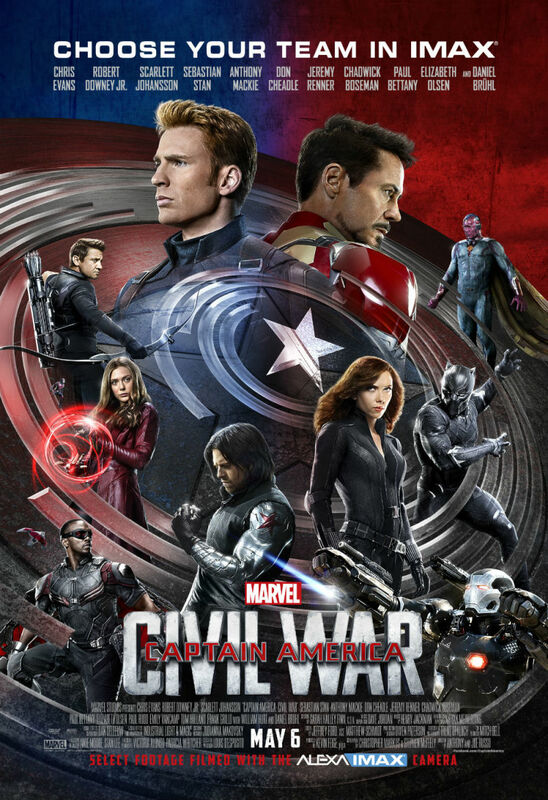 The Russo Brothers have crafted a film that is undeniably exciting and riveting for general audiences, but also a super hero film with glimmers of greatness for those that have been along for the ride since 2008. This investment continues to pay off in huge ways as Civil War took in the fifth largest opening weekend of all-time. With an estimated $181.79 million, Civil War is the third largest opening for a Marvel Studio film. With an "A" CinemaScore and solid hold overs in its first three days expect the film to pass $300 million domestic by next Sunday (if not sooner) with plenty of room for strong legs as its only direct competition is X-Men: Apocalypse which opens on May 27th. As always, you can hit the jump to see our full video review and be sure to subscribe to our channel for a new review every week!